Tiger Woods has no distractions, worries, or doubts about his next shot because he has done it successfully so often, he just simply does it. He is extremely confident. His past successes have taught him that that he should be successful again. Continually missing five-foot putts reinforces in your mind that you cannot make a five-foot putt. Do this often enough and it becomes a belief, a strong belief, and a fear for future five-foot putts. You can continually talk to yourself (self-talk) to continually build up confidence and eliminate the fear of the five-foot putt, but past unsuccessful experiences have taught that you cannot make the five-foot putt. Self-talk is putting your mind in the future, and the future has not happened. With the five-foot putt facing you, you must be in the moment – not in the future. Unfortunately, the moment is reinforced by unsuccessful past experiences. Continued misses reinforce missed putts and future missed putts. The one thing that will build up confidence for the next five-foot putt is a succession of five-foot putts that have entered the hole, especially when under pressure. This proves to the mind you can be successful and gain confidence that you can make those putts in the future. Nothing achieves success like past successful experiences. The psychological trick in gaining confidence for making the five-foot putt is to practice until you can make the putt consistently. It is that simple. Many of the sport psychology books are step-by-step plans of “do this” and “do that” in an attempt to tell the mind to eliminate distractions, and to proceed confidently for the shot or the putt. This procedure often has the player thinking so much about the procedure that his mind drifts from the actual shot. The mental plan is not a mysterious, mystifying, enigmatic and secretive process. It is simple, as we shall see. How does the player learn to cope with pressure and play instinctively through the subconscious mind? The answer is simple, but takes lots of practice– successful and determined practice. Understanding stage: Knowing the skill and what to do. Practice stage: Practicing the skill until we can do it automatically. Automatic stage: We perform automatically and with the subconscious. The automatic stage is when we can “let go” of distractions and thought processes and let it happen. This is why we practice. We practice to build up the confidence in our mind to transfer to the muscles for proper execution. The shot is in the unconscious mind because we put it there through our learning. If we let the unconscious mind execute the shot, we will be successful, because practice has taught us it will be successful. This is how we handle pressure. We may be nervous and excited, but the skill is in our subconscious if we let it perform. Great golfers do this, and that is why they are great. Great golfers and good golfers know they are great and they are good. As a result, their confidence is overwhelming. When they are in a difficult situation, they do not think as to how to go about eliminating the pressure, because there is no pressure. They may be nervous and even show nervous or anxiety traits, but when it’s time to play the shot, their subconscious prevails and they execute the shot with confidence and freedom. They know they can handle the situation because they have proven it to themselves. Sometimes, their beliefs are so strong that when a bad shot happens, it is not their fault. It was the wind, or the ball, or the group, etc. They cannot believe that they actually made a mistake. Now, how do we get to this stage for maximum improvement? As previously stated, it is simple. Practice, practice, practice all types of possible situations that can be confronted in golf, so that when the time comes, confidence prevails in the subconscious mind for maximum performance. As proper practice prevails, we learn. As we learn, we get better. As we get better, we gain confidence we have proven it to ourselves. Sometimes we fear the situation, and this is okay. It is a fear of the situation that makes us analyze the situation thoroughly, so you know exactly what to do. After the analysis, our subconscious takes over and we execute. There is no fear. Research by the American Psychological Association has shown that “self-discovery” is perhaps the most efficient way of learning. (Golf Digest, July 2017, Beall). Self-discovery is the natural way to mold your swing to your mental and physical capabilities. Kids learn by self-discovery. They try and if it works, they keep it. If they fail, they try again with a few changes until they succeed. It’s a trial-and-error process. The procedure is the same mentally and physically. The older pros never had psychologists telling them what to do. They learned by self-discovery. They knew the importance of sport psychology, although at the time they never called it such. They learned it with their physical learning. I have studied Zen, and their approach has strong merit. Nike used the old Zen saying, “Just do it.” Zen’s key to learning, in simple terms, was to practice and practice until the move of the skill was automatic, and then forget it. When the skill is needed, let it happen. The skill is there in the body and just needs to be released. 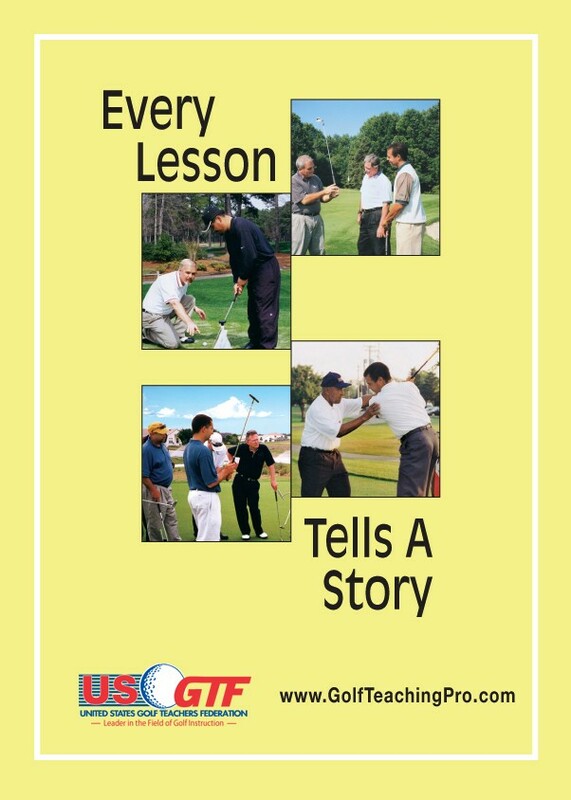 Perhaps the slogan should be “learn it and then just do it.” This is what old golf pros did. They learned it and just did it. If we are nervous over a shot, our mind is telling us something…listen. Maybe our mind is telling us we are not ready in learning or in “letting go” or “letting it happen.” Listen and then self-correct for the future.